Nestler Cylinder Stand is used for keeping nestler cylinders. This Stand is available in two sizes. 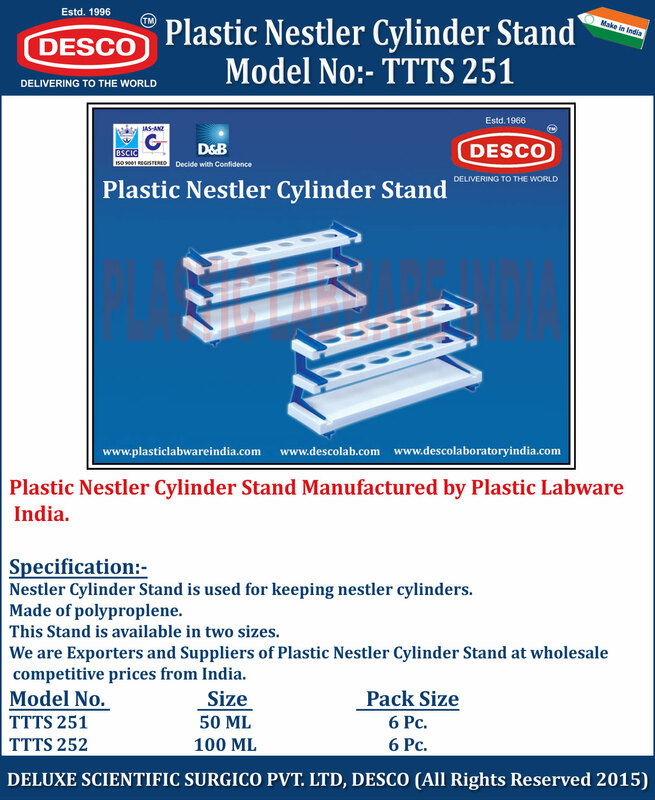 We are Exporters and Suppliers of Plastic Nestler Cylinder Stand at wholesale competitive prices from India. TTTS 251 50 ML 6 Pc. TTTS 252 100 ML 6 Pc.